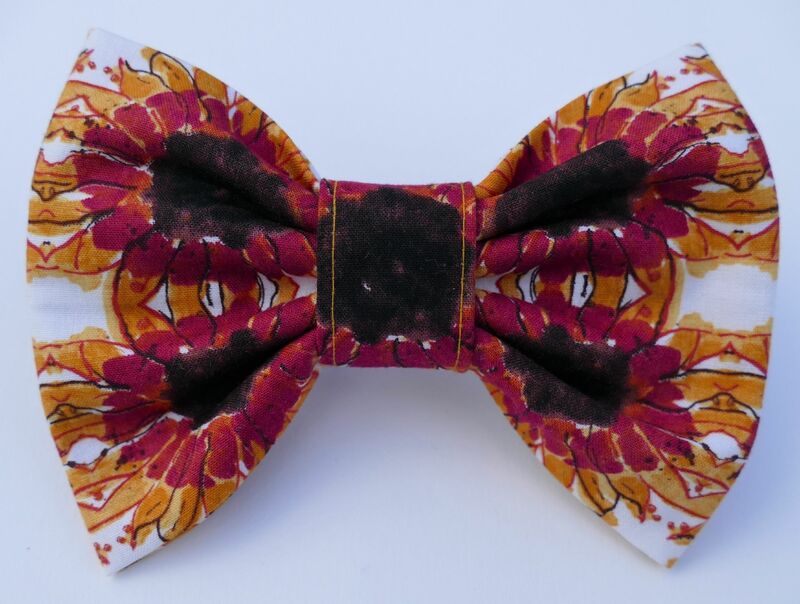 A gorgeous Retro Sunflower dog Bow Tie in lovely warm shades of yellows and reds. This bow tie is so stylish, and will brighten up the dullest day! Dudiedog Bow Ties are beautifully handmade, and have just the right amount of stiffening to make them super smart yet comfortable to wear.